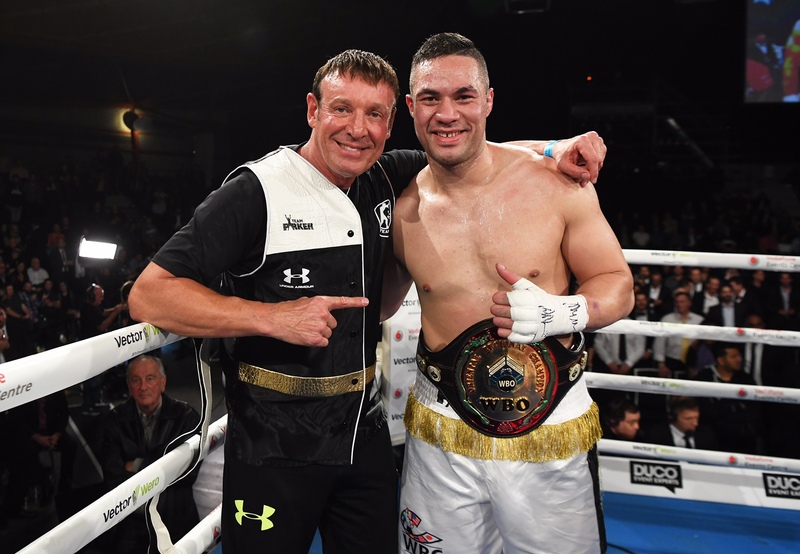 Undefeated heavyweight Joseph Parker (21-0, 18 KOs) of New Zealand is stepping into the ring on December 10th for his first world title shot, and he carries the hopes of his island nation with him. This is a heavy burden for a young fighter, but Parker is New Zealand’s son, and New Zealand’s Olympic silver medalist, Kevin Barry, has been working for years to bring Joseph to this clash with Mexican-American Andy Ruiz, Jr., (29-0, 19 KOs) for the WBO World title. While Parker, 24, may not be very well known to American boxing fans, he is, according to Barry, the second most recognized person in New Zealand, after the prime minister. “Joe is so respected and so well liked” in his home country because he is such a humble and approachable young man. The sporting public has “practically watched him grow up,” Barry told me, from a kid who could barely put a sentence together, to some one who is articulate and confident in press conferences. And, indeed, in front of a microphone and a battery of reporters, Parker is thoughtful, forthright, but quietly confident. Barry had a long-term path for Parker: “we set a goal four years ago to make him New Zealand’s fighter, and then take him as far as possible [on the world stage].” Taking him on media tours the length of both islands, Barry had Parker fight in every major city in the country. “New Zealanders have always had a close bond with their fighters,” said Barry, pointing out that David Tua’s unsuccessful bid against Lennox Lewis in November of 2000 was the most viewed TV event in New Zealand history. Since Tua’s 12 round unanimous decision loss, Parker is the first New Zealand heavyweight to battle for a world title belt. While Parker fully embraces his New Zealand identity, his Samoan background makes him enormously popular there as well. “The entire island [of Samoa] comes to a halt when Joe is on TV” said Barry, with the Samoan Prime Minister often flying to New Zealand to support Parker in person at his bouts. The Samoan government has also made a six-figure contribution to promoting the bout, according to New Zealand media outlets, in return for tourism adverts during the bout. To say that Joseph Parker carries some serious expectations on his shoulders is like saying that Luciano Pavarotti was pretty good at singing. But Parker has the talent to match those expectations. When you see him in the ring, the first thing you notice is that he moves easily and lightly, but very quickly you notice the second thing: elite level hand speed. In his last outing, against a game but over-matched Alexander Dimitrenko (38-2), the Ukrainian-born German fighter could not cope with the speed of Parker’s punches and combinations. “I think Joe has got the fastest hands in the division, said Barry, “he can get off first, throw combinations, and it’s the punch you don’t see coming that does the damage.” Parker is an exciting fighter to watch, and one with elite level skills. Sure, he is relatively young and just on the cusp of reaching a world stage and a world audience. But the Ruiz fight is a perfect opportunity, and no one in Parker’s camp is taking the undefeated Ruiz lightly. Barry also sees it as a fan friendly fight. “I think that Joe vs. Andy could be the most exciting heavyweight fight of the year,” said Barry. Both guys “come forward, both are aggressive; expect to see some real action in the middle of the ring.” The two are set to clash in the Vector Arena in Auckland, New Zealand’s largest venue with some 12,000 seats. Tickets went on sale yesterday and the pace of sales has been blistering. 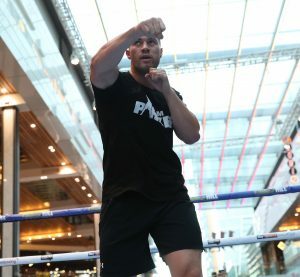 “They are going to raise the roof in that building,” says Parker’s trainer, when New Zealand’s favorite son takes his first shot at a world title. If you are a boxing fan, if you are a heavyweight fan, don’t miss it.